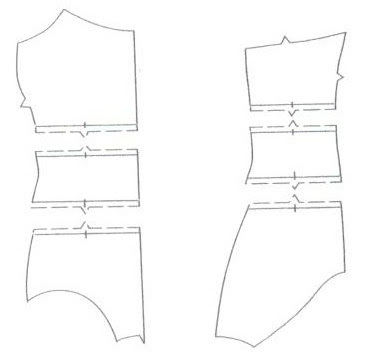 "Blocking involves, drawing the design, cutting the pattern piece apart, adding the seam allowances to the new cut edges and sewing the pieces together to make it one piece." --from Kwik Sew's Swim and Actionwear book. 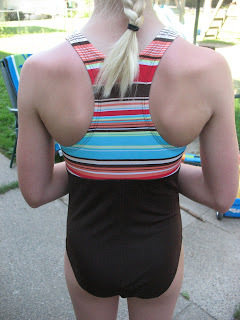 I first tried this technique last year on this suit for my middle daughter. 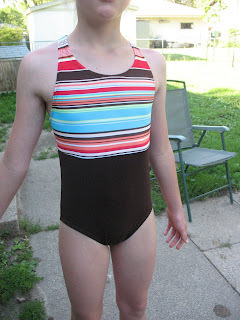 We used the basic racerback tank (Kwik Sew 3785 is the current pattern) and cut it to be a 2-tone suit. We thought the stripe might be just a little much for the entire suit. M. loves this suit. She received a ton of compliments on it last year too. This year it seems a little snug; however, she wants me to add another little piece into it so that she can still wear it. Since I still have both of these fabrics I may just start from scratch and go a size larger for her, because it was a cool suit. Added a stripe at the empire waistline as this print was extremely busy and the 10 yr. old friend it is for needs a little visual definition there. M. thought it looked cool. 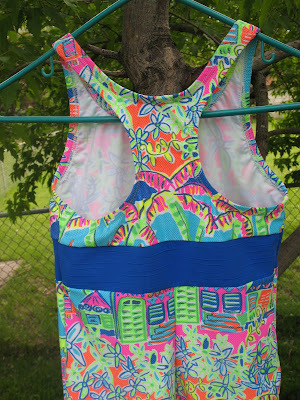 Did this one for my youngest as I didn't have enough of the floral piece to do an entire tankini. So we used it for the bottoms and the contrast to the navy top. I really like this look. 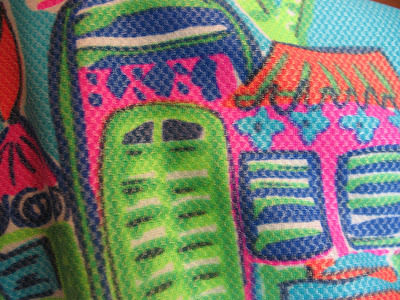 Here is a little detail close-up of the straps and how they cross each other in back. 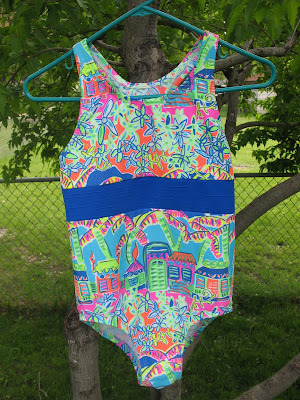 **By the way, I have swimsuits available for purchase in my shop at Etsy. Or drop me a note if there is something specific you are looking for and we can work something out. Very nice, Renae. 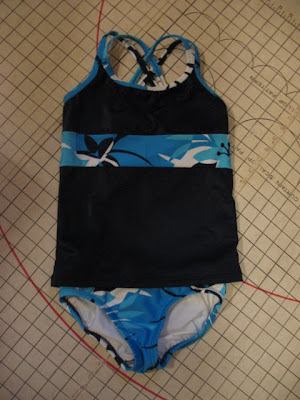 I never made a swimsuit before, but it could be that I am going to try for the first time this year. Although I have to say it's kind of hard to imagine that we ever are going to need those. Brrr. It's feeling more like fall than spring here. Wow those are great. I might need to learn how to do this! Ohhh, I rec'd my lucky pattern in the mail today. I can hardly wait to see my grandkiddo next week and measure her up for this. Thank you very much, and I will take a picture, once I get it completed!! Great job on the swimsuits! I made them for one of my daughters when she was age 10-13 or so. A difficult age to fit, so making your own can help in that area. I enjoyed seeing your photos. Do the armholes and neck look bad because they are too loose and gap? If that is the issue, you could pick it all out and just make sure the elastic is tighter--just stretch it enough to fit into the opening. Which on the armhole the elastic is almost exactly the same as the opening. 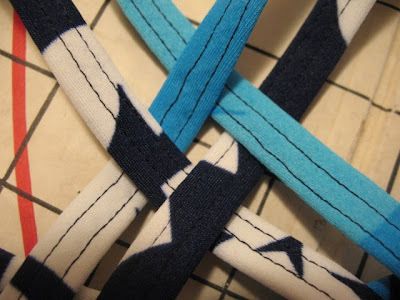 So there doesn't need to be hardly any stretching to attach it and then topstitch. The neckline is about the same too. 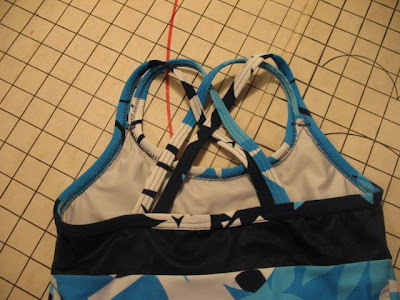 You could also cut it off--just right close to the elastic and then make some straps to attach. 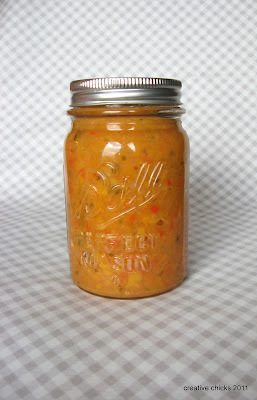 We have a post about making those that you could look at. If you want to email us a pic of the suit can see if I can tell what happened.